What a powerful story! This sort of story always reminds me how lucky I am to live where I do. The Fangamou family faces a lot of hardship in this story coming as they do from a country torn apart by war. Forced to flee, Blema heads to a refugee camp hoping to find a way to eventually reunite with his family. Meanwhile, his wife and six children are also forced to flee after being robbed of everything they own. His wife is pregnant and has been savagely attacked. Forced to deal with everything from the betrayal of friends to severe hunger, thirst, and illness, the Fangamou's hold fast to their faith in God despite it all. 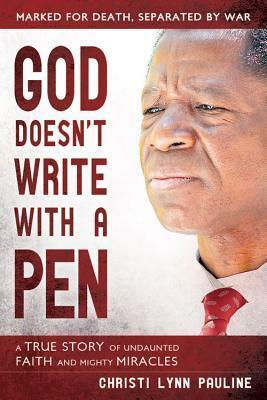 A truly inspirational story that truly touched my heart and kept me reading, God Doesn't Write with a Pen left me feeling humbled and appreciative. A wonderful, if heart-breaking read that I can heartily recommend. Review copy provided by author in return for honest review. Death is a very personal, sensitive subject, especially for children. When I found out about this book, I was interested in seeing how it handled that topic. I feel like the author did a nice job with a difficult topic, maybe it's because it's from the author's own personal experiences. It was good for me to read this and get a child's eye view of watching someone you love suffer and die. While the illustrations aren't my favorite, they do compliment the story nicely. I admire those who do cut paper collage because it takes great skill and that is manifested here. This picture book is fairly long with lots of words and probably more appropriate for a slightly older group of children. “At 11:35 p.m., as Radio Armero played cheerful music, a towering wave of mud and rocks bulldozed through the village, roaring like a squadron of fighter jets.” Twenty-three thousand people died in the 1985 eruption of Colombia’s Nevado del Ruiz. Today, more than one billion people worldwide live in volcanic danger zones. 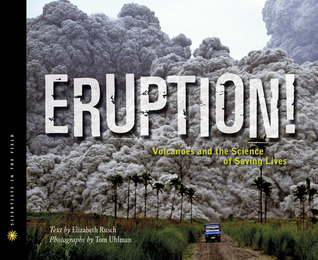 In this riveting nonfiction book—filled with spectacular photographs and sidebars—Rusch reveals the perilous, adrenaline-fueled, life-saving work of an international volcano crisis team (VDAP) and the sleeping giants they study, from Colombia to the Philippines, from Chile to Indonesia. ELIZABETH RUSCH is an award-winning children's book author and magazine writer. She writes both fiction and nonfiction in the areas of science, art, sports, waves, jokes, crayons, and mud — anything that catches her fancy. Scientists in the Field is a science-based series that focuses on the work scientists do out in the world rather than in a lab. Usually this work is focused on helping people, animals, and/or both. Eruption looks at the work that volcanologists do to predict volcanic eruptions and help people get out of the way. With fascinating accounts of these scientists studying past eruptions as well as trying to predict coming eruptions, the book provides a fabulous look at the important work that these scientists do. The reader gets a look at the equipment and expertise required to do the job as well as the risks that go with studying volcanoes. Accounts full of tragedy and triumph make the book a compelling read. The author details the eruptions of Nevado del Ruiz in 1985 that resulted in the deaths of 23,000 people, Mt. St. Helen's in 1980, and Mount Pinatubo in 1991. Each account gives the reader a look into the challenges of predicting something so innately unpredictable. The photographs, sidenotes, and graphs all help in relating the realities of studying volcanoes. Highly recommended for both casual and educational reading. Be sure to check out the other nonfiction recommendations at Stacking Books. A busy writer, Marlene is set to have three books published this year. Gaze Into Heaven, a fascinating collection of over 50 documented near-death experiences in early church history, was published earlier this year. Next came Motive for Murder, the first in a mystery series featuring the quirky private eye, Erica Coleman. Then, Heroes of Faith, a collection of stories about people who acted heroically in the face of grave trials and handicaps was released by Cedar Fort Inc. 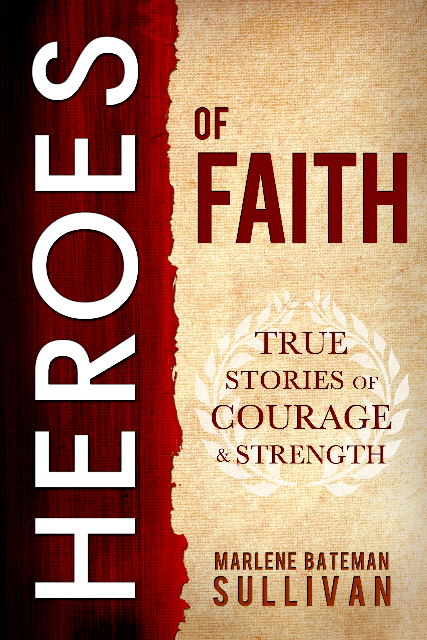 The world needs more people like those whose stories are told in this book. The world portrays heroes as people of great visibility and talent, but for me, true heroes are ordinary people who do extraordinary things under difficult circumstances. The author does a fabulous job of telling some of these stories. For me these stories are a reminder that despite the awful things that go on in the world there are still amazing people out there doing amazing things. People facing everything from death to false imprisonment and war find the faith to carry on with God's work despite the challenges. And at least one of those whose story is told in this story actually died because of his efforts to tell people the truth at the tender age of 16. A truly inspiring and touching book that I can highly recommend. Libby Gardner and Cindy Applegate are smile-without-teeth friends, but they are fierce rivals when it comes to politics. Cindy owned the student council elections in fourth and sixth grades, while Libby came out on top in fifth. Now, they both hunger for the prestigious title of seventh grade class president. But middle school elections have their own rules...and pressures. When Trevor Jones is forced to join the presidential race, he devises a plan to make sure his best friend Libby wins. That all changes when he discovers that Libby has oh-so-sneakily gone behind his back by hiring Molly Decker to be her campaign manager. Now, he's in it to win it. And things are going to get ugly. Join Trevor, Libby, Cindy, and the whole Westside contingency (along with the documentary film crew) as they explore the ugly underbelly of middle school politics. Robin Mellom is the author of DITCHED, her debut teen novel coming January 2012 from Disney-Hyperion. 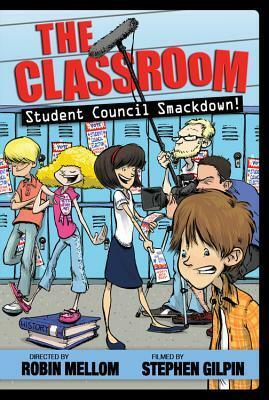 And also THE CLASSROOM, a middle grade series coming from Disney-Hyperion June 2012. Robin has taught grades 5 through 8 and has a master's degree in education. She lives with her husband and son on the Central Coast of California. Visit her at http://www.robinmellom.com. What's the 'story behind the story'? What lead you to write about middle school? I used to be a middle school teacher and my students would constantly ask me to read funny books to them. They were very picky about their humor and the only book that they all adored was SIDEWAYS STORIES FROM WAYSIDE SCHOOL. I read it over and over and over. 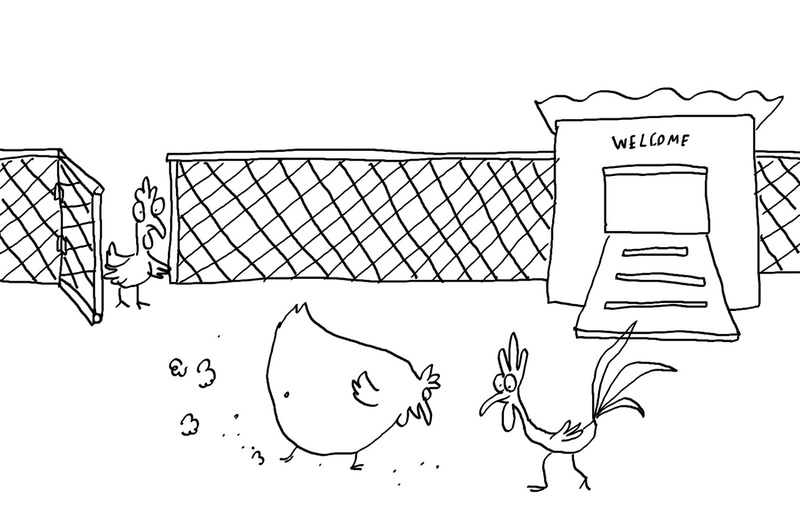 That was when I made the decision to write funny books for kids. Whose your favorite character, if you have one? If you don't have a favorite which one do you enjoy writing about the most? 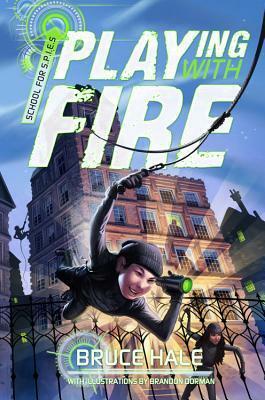 I adore writing about Trevor because he is sort of your typical middle grade student, with some unique quirks. But I find Molly (dark and unimpressed by anything) to be the most fun. She's not like anyone I know and she's a pure kick to write about. I have an office at home with a lock, which is necessary at times. But when I'm revising, I LOVE to be outdoors--in a park or at the beach. I get my best work done when my feet are stuck in the sand. If you could go anywhere in the world, where would you go and what would you like to do there? I am strangely drawn to Greece. I imagine myself in a cliffside retreat, wearing a flowing white dress, eating fresh fruit, and enjoying a cocktail the ENTIRE time. I fall in love with every Labrador Retriever I see. Libby wants more than anything to be the seventh grade class president for Westside Middle School, but thanks to her cousin Luke's advice she despairs of it ever happening, especially with Trevor as her campaign manager. Trevor loves his new found popularity, achieved after facing off with Corey Long, an 8th grade bully. When Libby tells Trevor that she needs a 'cool' campaign and that one mistake can destroy his popularity things go downhill quickly. After a soda disaster in the cafeteria and a deodorant accident in P.E. which result in the banning of both soda and deodorant, Trevor's popularity plummets. When Trevor asks Molly to help Libby with her campaign so he can be the third presidential candidate (otherwise the election will never occur) he is shocked to discover that Libby had already asked her. Hurt feelings, an unidentifiable, mysterious stink that takes over the school, and a perky, glittery rival lead both Trevor and Libby to think that disaster is lurking just around the corner. An enjoyable second book with fun characters and plenty of humor, Student Council Smackdown uses a documentary format with interviews and photographs and other visuals to help tell the story. A quick, light read great for students who enjoy the Diary of a Wimpy Kid style of book. The humor is sometimes a bit over the top but not surprising for middle school. It does have the same problem that a lot of this type of book have in that there is a shortage of decent teachers and the assistant principal is an idiot (banning deodorant, seriously?!) But I understand the decision, kids love this kind of book where the kids are front and center. Themes of being yourself, friendship, bullying, and overcoming mistakes are all an important part of this story. 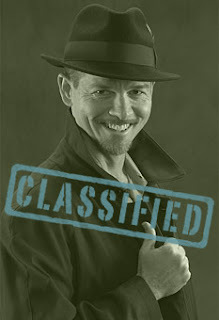 And after all, Trevor's and Libby's mothers do play an important part along with Wilson, the not janitor. Overall a fun read and one I can recommend. · @DisneyHyperion will prompt discussion with quotes, questions, etc. · Please feel free to post to your blogs, discuss the chat on twitter, etc. · These chats tend to get pretty crazy J we’ll just go with the flow! WHOMP! 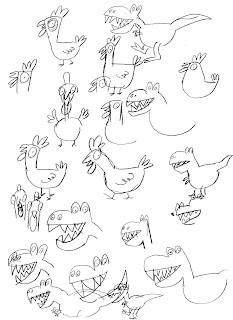 An energetic young dinosaur figures out her own way to give a kiss in the latest from the creator of the Caldecott Honor–winning Interrupting Chicken. 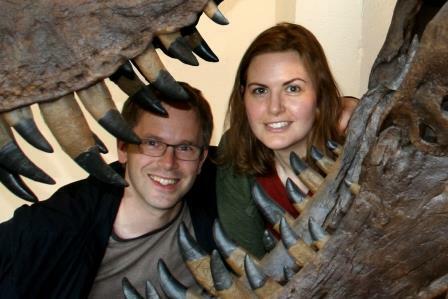 For newly hatched dinosaur Dinah, the world is an exciting place. There is so much to see and do. She tries this — STOMP! And she tries that — CHOMP! Then she sees a kiss and knows just what she wants to try next. Who can she kiss? And after a few disastrous attempts, can she figure out how to give someone a kiss without whomping, chomping, or stomping them first? 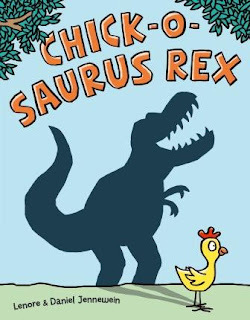 Young children will chuckle and cheer when Dinah finds just the right creature for her dinosaur kisses in this funny new picture book from David Ezra Stein. 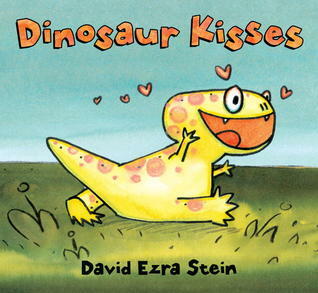 Award-winning children's author and illustrator David Ezra Stein was born in Brooklyn, NY. By the time he was three, he was asking adults, "Wanna come to my room? Read books?" This love of reading grew into a love of telling stories, and then, writing. 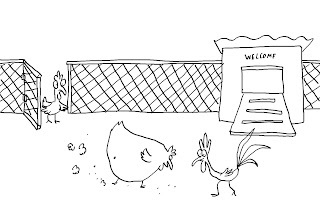 David Ezra Stein’s Interrupting Chicken was awarded a 2011 Caldecott Honor, as well as many state awards. 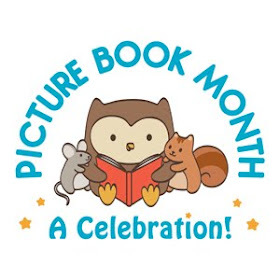 His picture book Leaves won the Ezra Jack Keats award and was a Publishers Weekly Best Book of the Year, a Kirkus Reviews Editor’s Choice, and a School Library JournalBest Book. Booklist called his book Monster Hug! “a cousin to Maurice Sendak’s Where the Wild Things Are.” Pouch! (Putnam), was a 2010 Charlotte Zolotow Honor Book. His books have been translated into Chinese, Korean, Japanese, Spanish, French, and Finnish. As a young child, David started out drawing on Post-It note pads his mother, an editor, left around the house. An admitted “space cadet,” he showed an early knack for daydreaming and doodling. His parents and grandparents read him lots of books, which fed his imagination and became a touchstone for his love of imagery and storytelling later in life. 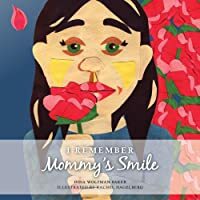 “I’ll never forget the experience of sitting in a beloved lap and having a whole world open before me: a world brought to life by the pictures and the grown-up’s voice. That wonder is what I want to re-create in my own books,” says David. David went on to become a voracious reader and made up stories of his own. Near the end of his time at Parsons School of Design in Manhattan, encouraged by beloved author and teacher Pat Cummings, he decided to pursue children’s books as a career. After graduation, he was briefly a window display artist, puppeteer and puppet builder, interior and set-design illustrator, and New Yorker cartoonist. In 2006, his first book, Cowboy Ned & Andy, was published by Simon & Schuster. Since then he has published nine picture books. 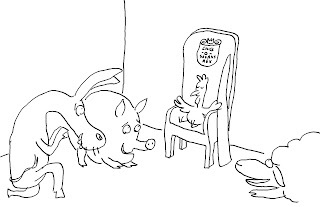 His latest, Because Amelia Smiled (Fall 2012), continues a richly creative working relationship with Candlewick Press. David lives in Kew Gardens, NY with wife, Miriam, and son, Sam. When he’s not working on new stories and pictures, he enjoys making music, cooking, running, hiking, and talking with kids and grown-ups about books! I am eager to try this book out with the target audience. I enjoyed it and I think children will too. This is a different sort of look at kisses and I have to admit the end surprised me, it was not at all what I was expecting, but it definitely made me laugh. 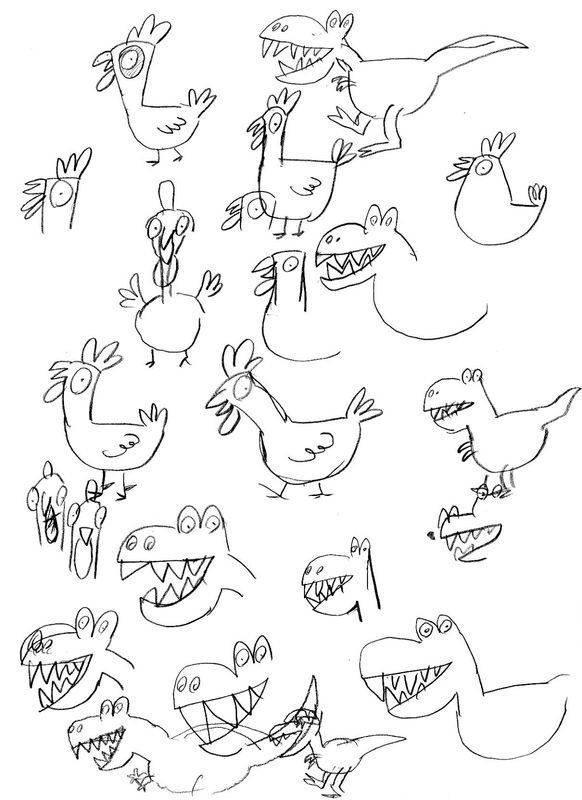 The antics of the young dinosaur reminded me greatly of a young child with her enthusiasm and determination. The baby t-rex starts off stomping and chomping, but then she sees a kiss and decides that is what she wants to do, but her efforts fail in funny ways, until she finds the right creature to kiss, although not in the way I expected. I love this kind of book because they are so fun to share. The reader thinks he/she knows where the story is going only to be delightfully surprised. Highly recommended. Wow! What can I say about this book. I fell in love with it immediately. Maybe it was the gorgeous illustrations with the amazing detail. Maybe it was the girl who after being pushed aside by her family uses her imagination to find her own fun. Maybe it's the creative twists and turns and the way the girl finds a friend in the end (in a quite unusual way). This book reminds me of another book that I very much love, Harold and the Purple Crayon except on a bigger, grander scale. The steampunk aspects of the story were, I thought, a fun touch that I think kids will really like. Wordless books provide so much room for children to use their imagination and an opportunity to tell the story the way they see it. And this book adds immensely to the growing number of fabulous wordless books. 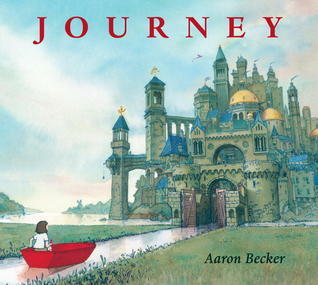 In fact, this book definitely has the characteristics to be a strong Caldecott contender. I would be disappointed if it wasn't. All in all, I loved it and can't recommend it highly enough. A fun middle grade story about a boy and a girl and their adventures with fairies and curses and missing people. Calum's cousin is missing and he desperately wants to find him, but he doesn't know where to start. When Laurel arrives in town determined to find her missing brother, Calum decides to help her, not realizing the possible repercussions. 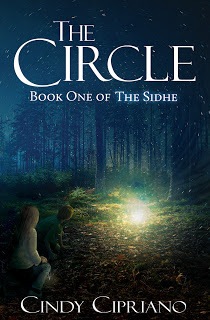 Cipriano creates a fun mythology surrounding fairies and the Sidhe. An enjoyable read and one I can easily recommend. E-copy provided by author for blog tour. Some writers just seem to have a gift when putting together their books. Bell is one of those kind of writers. This book is fabulous full of great characters, an action-packed plot, and a powerful theme. Middle school can be such a difficult time for students, parents, and teachers alike. Bell's experience as a middle school teacher shines through as he highlights the struggles of Conner, Melanie, and Lexa. The three kids as new Magi face challenges beyond the normal middle school variety. After their experiences in the first book (The Kindling), all three face the repercussions of those experiences (I recommend you read the first book before you read this one, otherwise a lot of things will not make sense). Conner struggles with the awful things he experienced in the Shadowbox. Melanie faces opposition at home as well as her own academic tendencies. Lexa deals with feelings of jealousy and pride. All must continue their training because it is clear that the Darkhands have no intention of leaving them alone. I think one of the things I especially love about this series is the role that the teachers play in helping Conner, Melanie, and Lexa continue to develop their skills and talents. In so many children's books, teachers are the enemies and clueless about the students, that is not the case in this book. In addition, there is enough action in the book to satisfy the most picky middle grade reader. The themes of light and dark, friendship and loyalty shine through bright and clear. That ending though is a heart-wrenching one and yet not surprising considering the character of those involved. Like most second books in trilogies, this one ends with a cliffhanger. I really wish I didn't have to wait until next year to read the next book. But for now I can highly, highly recommend this one. 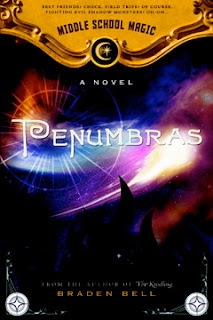 Q: Tell us about Penumbras. 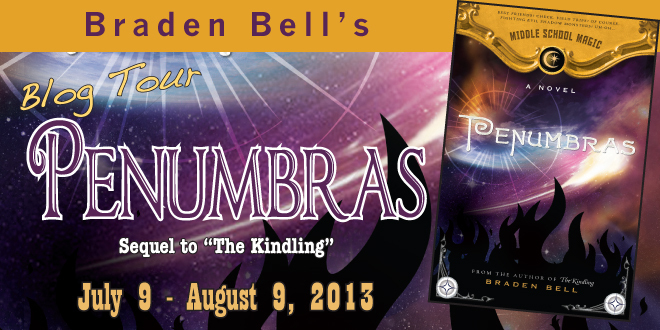 A: Penumbras is the second volume in The Middle School Magic series. The first installment, The Kindling came out last summer. I am currently working on the third volume, which will hopefully come out next summer. Q: “Penumbras” is a somewhat unusual title. Can you explain it? A: A penumbra is a vague, shadowy, area, neither fully light nor dark. The Kindling, the first book in the series was about the sparking of new and exciting powers. This particular book follows the characters as they confront the complex consequences of those initial events and confront the shadowy places in their own hearts. Q: How did you get the idea for this series? A: One night during a sky-splitting spring thunderstorm, my kids came home from a church activity and told me about a man they had seen driving home. He had a black cape and was walking across people’s yards in the storm. Wondering about who he was and what he was doing triggered the idea for the book. 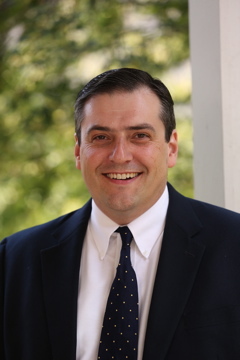 A: I am a middle school choir and theatre director at a small private school. I’m the father of five children and the husband of one wonderful wife. Q: Speaking of that background, is it a coincidence that a middle school theatre and choir teacher has such a prominent part in the book? How about the students and other teachers in the book? Are they based on anyone specific? A: Well, writers write what they know! Dr. Timberi is admittedly similar to me in some ways. However, that’s not because he’s modeled on me. Rather, it’s because he is someone I would like to be. As far as the other characters, in the very beginning, I did sort of model their voices on some specific people—but that changed within a few pages of the first draft and they quickly become their own unique characters. Q: Beyond the characters, are there any other events based on real life experiences? 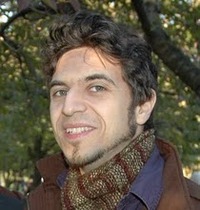 A: There is a sad scene towards the end between Dr. Timberi and one of his students. While it is not an exact replication, being a theatre director means I have dealt with disappointed and/or angry students (and parents!) for many years. I tend to have a pretty thick skin. However, there are occasional times when this gets to me. 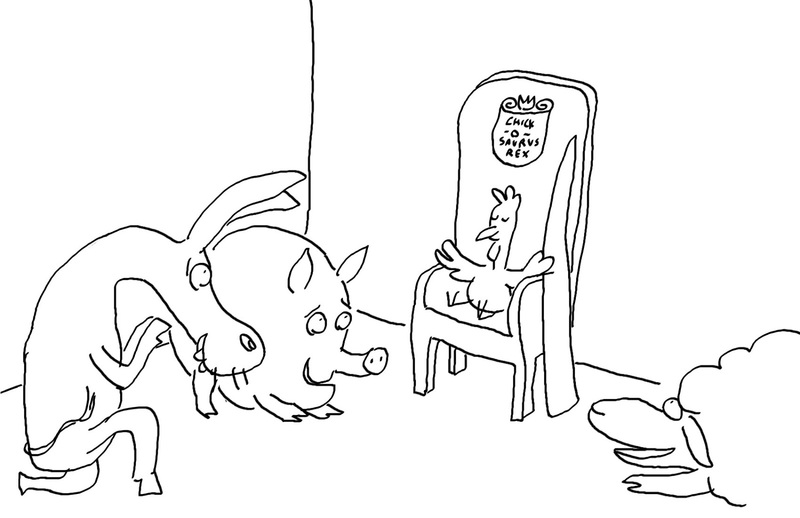 This scene was actually inspired by a particularly difficult confrontation with a student of whom I was quite fond. I wrote the scene as a way of working through the incident—and ended up keeping it. The only other thing that might be based in reality is the degree to which teachers truly do care about their students. I don’t think the students often realize just how much teachers and other adult figures care about them and what they would do to protect and help them. Q: What is your favorite thing to do, besides reading or writing? A: My wife and I love to watch old movies, or adaptations of literary classics. Nearly anything by the BBC! I also love working in my yard.